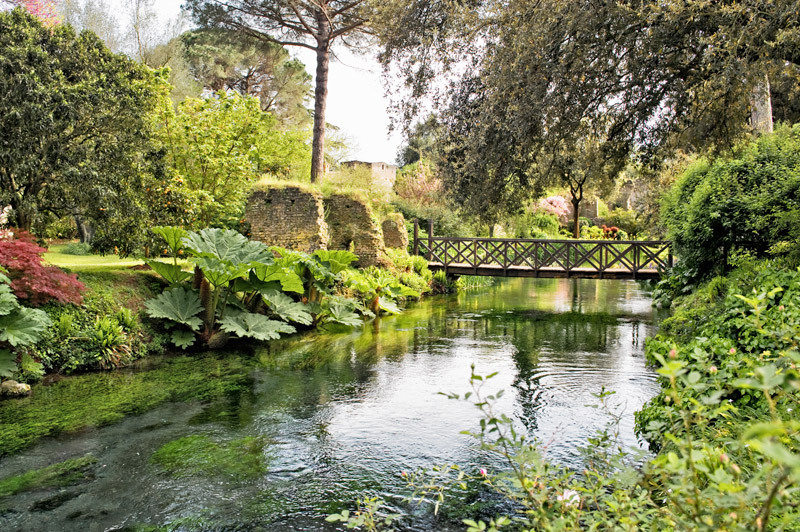 Garden of Ninfa is a beautiful park not far from Sermoneta, Lazio. 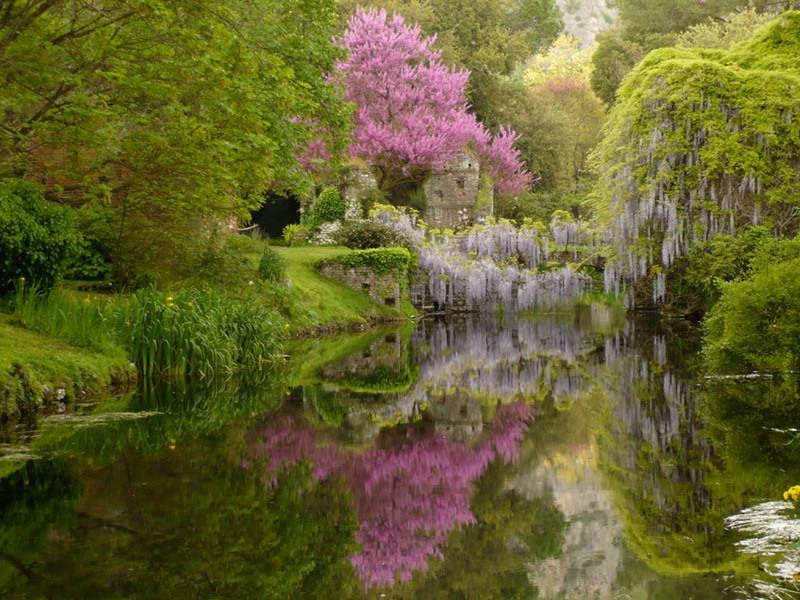 The garden includes the remains of the ancient city of Ninfa, perhaps founded by the Volscians at the feet of the Monti Lepini. 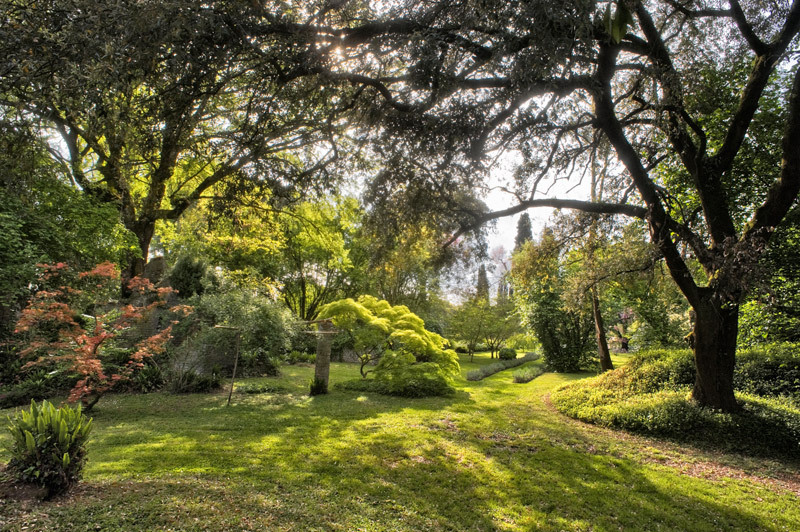 It has a surface of 106 hectares (the garden covers an area of 8 hectares and the Natural Park of Pantanello about 100 hectares) . During the Roman age, next to the water flowing from the springs of Lepidi Mountains, was built a small temple devoted to the Nymphs, goddesses of the woods and waters. The river was named after them. The abundance of water facilitated a settlement that controlled the road from Velletri to Terracina. Starting perhaps from sec. 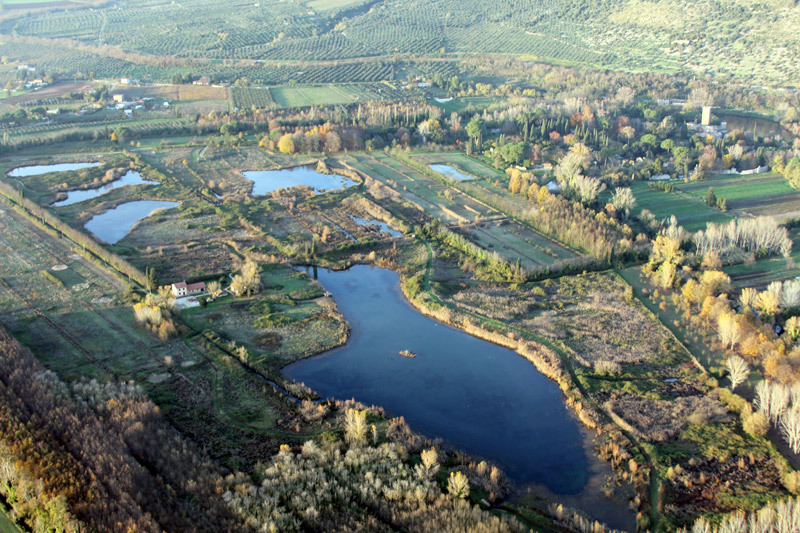 XI, Ninfa was given to feudal lords: Frangipane, Segni, Colonna and Caetani family. The last purchase was made in 1297 by Pietro II Count of Caserta, sent by Pope Boniface VIII, Benedetto Caetani. In 1159 in the local church of Santa Maria Maggiore, Cardinal Roland Bandinelli was consecrated pope, under the name of Alexander III, who was then forced to leave Rome because of the divisions with the emperor. In 1171 Ninfa was destroyed by Emperor Frederick Barbarossa. In 1300, the same year of the establishment of the first Jubilee declared by his uncle, the Pope, Pietro Caetani built the tower (32 meters high) that dominates Ninfa and the castle. Defended by double walls, the city contained seven churches, at least 180 houses (many of them have been identified), 14 towers, a castle, a town hall, mills and a population of less than 1,500 inhabitants. In 1381 Ninfa was occupied by the troops of the antipope Clement VII, who was elected in the schismatic conclave of Fondi of 1378; Clement VII was an opponent of the Caetani family. Few months later the citadel was besieged and put on fire. It was the beginning of the decline: the population fled elsewhere leaving the castle because of the malaria. In 1470 Caetani family tried to restore the place building an iron foundry. Between 1500 and 1600 a vegetable garden was built. 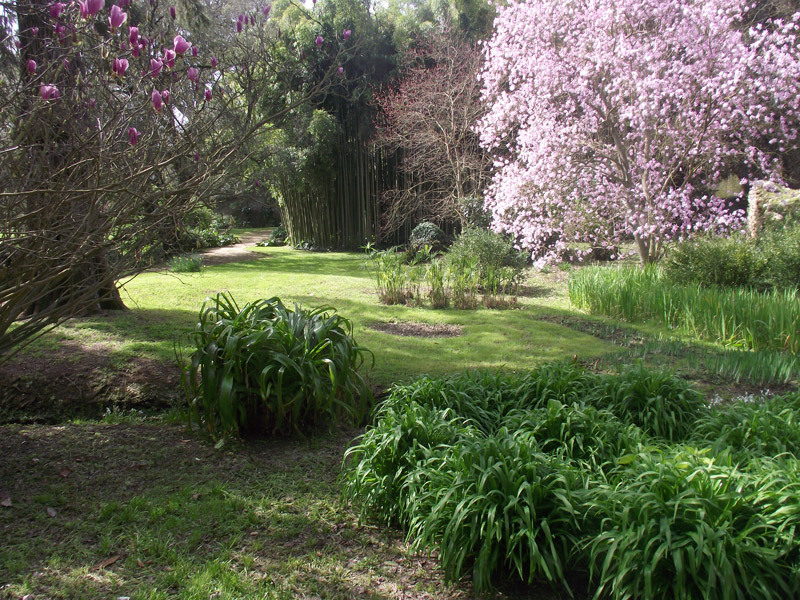 Hortus Ninfa produced varieties of citrus and tulips that were sold in Europe. 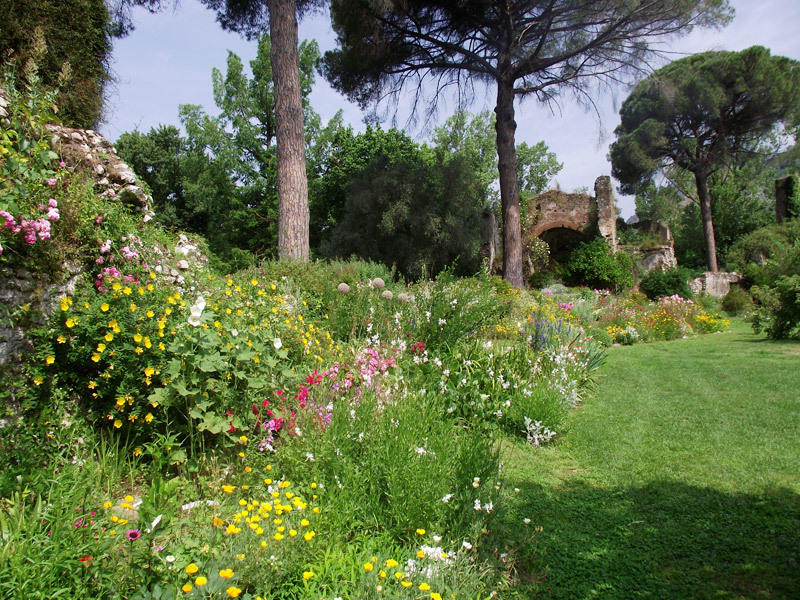 However Ninfa was abandoned till the first two decades of the twentieth century, when Gelasio Caetani began to restore the first buildings, to dig the bed of the river, planting trees, creating the garden that grew under the care of three women: his mother Ada Wibraham (English), her sister Marguerite Chapin (American) and the and granddaughter Lelia. Roffredo, brother of Gelasio and father of Lelia, restored the old town hall, now the headquarters of the Foundation named after him, and created the canals that criss-cross in the garden. During World War II Camillo, son of Roffredo and Marguerite Chapin, the only male representative of the noble family of the family, died. The dynasty was extinguished after 1000 years in 1977 with the death of Lelia. The task of perpetuating the beauty of the place relied to Roffredo Caetani Foundation.